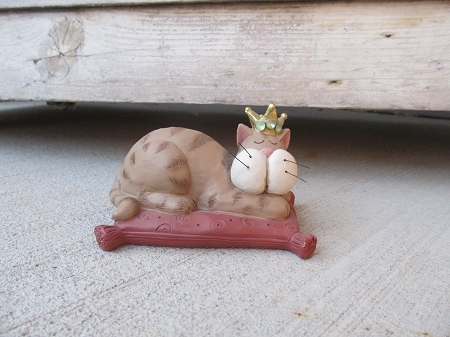 Adorable cat with a jeweled crown on a fluffy pillow. Another great top notch resin collectible from Blossom Bucket. They do a great job with quality and detailing. Nice larger size piece from them. Makes a purrfect gift for the cat lover on your list! Size is 4" x 2 1/2" MORE THAN 50% OFF. LAST 4 REMAIN.